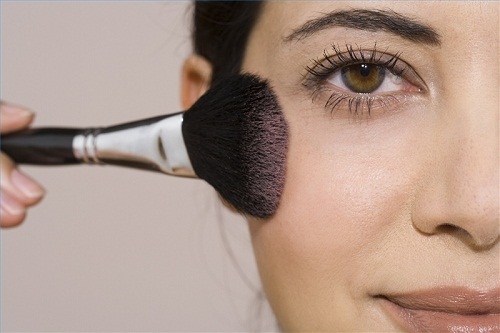 Foundation is one of the major item of your Makeup Kit. 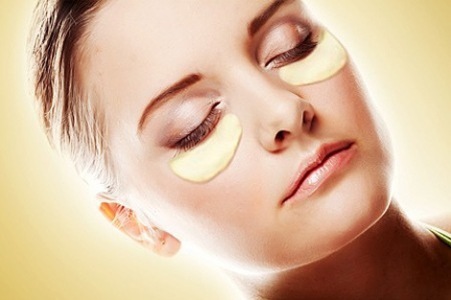 It is also the main portion of your face makeover. If you really want a healthier and glowing look of your face then must try this applying foundation tutorial. Still there are many women who don’t adopt the right way to apply the makeup, if you shouldn’t have much knowledge that how to apply these cosmetics and makeup foundation then please don’t spoil your skin and look by using wrong ways and self mean techniques. Here i am going to share this method with you ladies so you get the right procedure and answer to that How to Apply a Perfect foundation to Face? I have shared here few tips and steps. Follow them stepwise, get a stunning bold look ,you will probably have a beautiful foundation-ed face. Below are some of the required steps of the tutorial. Follow them carefully to get a prefect foundation to the Skin. Get started by washing your hands to clean them so that they get germ free. avoid dirty hands coming in contact with your face because it will really produce dirt and give arise to germs, if you may apply makeup with these hands then you will get spots, infections or pimples. Make use of brushes or sponges but they also must be clean. Wash and cleanse your face by cleansing Milk or some other ways.After Cleansing your face tone then apply moisturizer to your entire face to avoid the dryness and roughness. 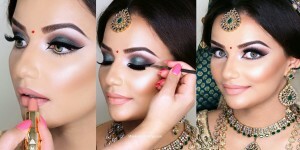 Doing this will secure your skin making the makeup more natural to look. 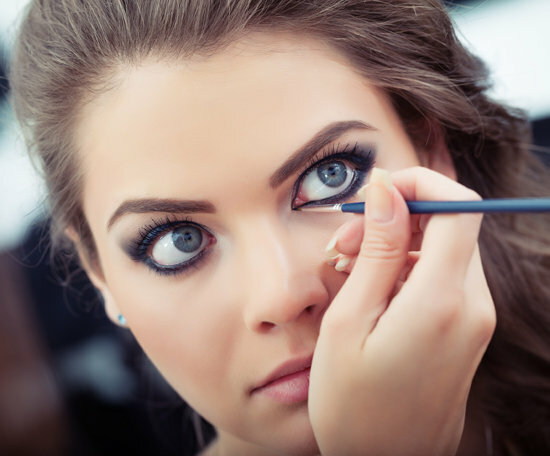 If you have circles near eyes, thyem must apply a suitable and branded concealer beneath your eyes having dark circles and to any spots on your face. Apply it softly and perform outin path of the muscles fibers of your eyes so that to prevent excessive elongating of this sensitive region. 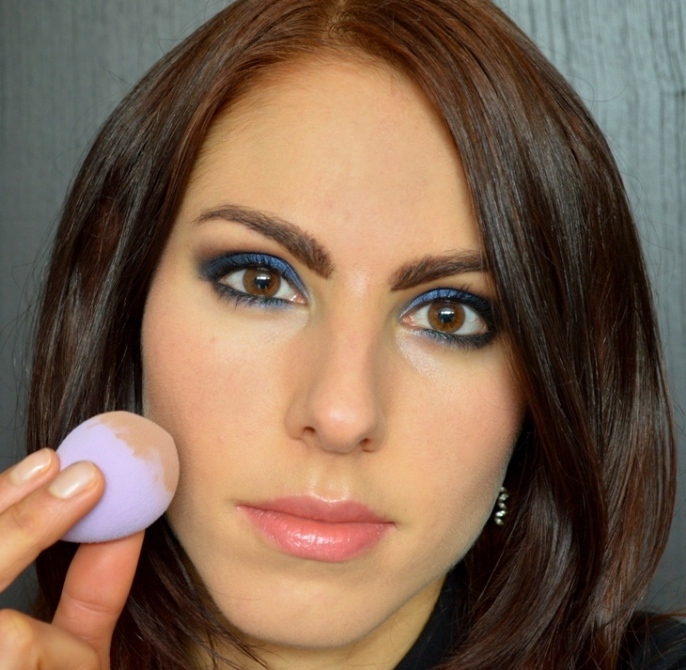 Tap the concealer criss and cross covering the outside of your nose. Use a concealer according to your color of skin tone so that it does match with your remaining skin and coverup the dark area under eyes. Use a yellow, peach or green concealer too deal with the reddish of busted capillary vessels or scars. Green cancels out red as these are reverse to each other on the coloration phase. Take a good quality branded and imported foundation and apply it to your entire face with the help of a sponge. Use it by adding few amounts of it, so that it suits your face. Foundation even outs your skin tones and make them equal, Don’t apply it to the neck if not needed most. After applying the foundation now grime your skin gently with a translucent powder instantly. It will really give a nice matte finish and fresh look. If your skin is already dry then don’t use this step because the powders seem to draw the moisture out of skin. Like if you want to do, Put on eye liner on eyes, Gloss or lipstick on lips. Likewise blush on your cheeks and make them pink. This will be all according to your choice and need just to look more good and pretty. 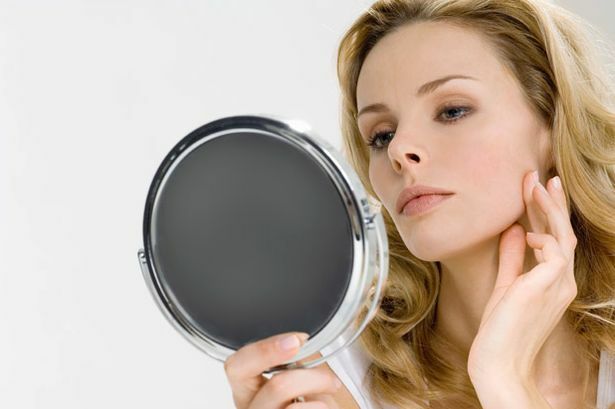 Look at your face carefully in the mirror to make confident that there are no patches or spots of foundation that are not merged properly on the skin. 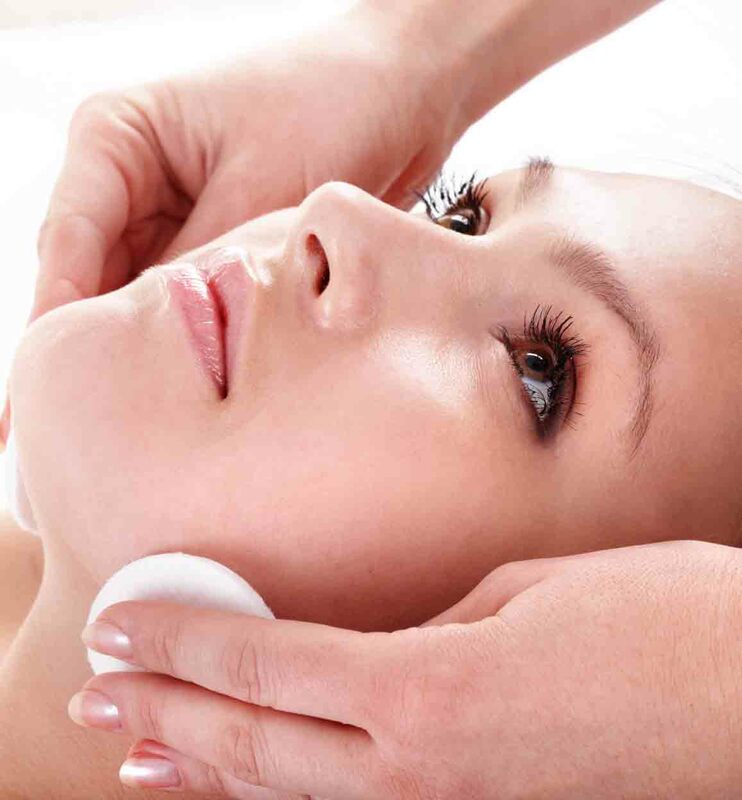 If possible then also do ask any person in front of you to make sure that your skin is perfectly foundationed and tone is even throughout the whole face. Now after completing all the steps now you are set for the day and now u need not to worry about reapplying the foundation.Enjoy the full day with glowing even skin and Just wash your skin before going to the bed at night. Keep visiting StylesGap for latest fashion trends and beauty ideas!